The Genesis Sync tape is thin and flexible for an optimum range of motion. It can be used in the finger and thumb holes to adjust fit for any hand swelling or shrinking. Plus, the adhesive leaves no stick residue! This is a great addition to any bowler's bag! 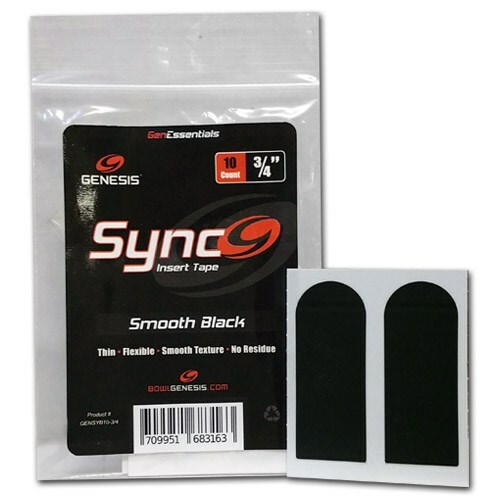 Due to the time it takes to produce the Genesis Sync Black 3/4" Insert Tape 10ct ball it will ship in immediately. We cannot ship this ball outside the United States.